AURORA, Ill. (February 3, 2010) – Not since 2003 has Monster Energy AMA Supercross, an FIM World Championship, seen three different riders in four races earn victories in the premier AMA Supercross class. As Monster Energy Supercross heads into San Diego’s Qualcomm Stadium tomorrow night several riders will look for the opportunity to join 2010 AMA Supercross class winners James Stewart, Ryan Dungey and Ryan Villopoto as the fifth stop of the championship unfolds in sunny Southern California. Rockstar/Makita/Suzuki’s Dungey, of Belle Plain, Minn., carries an 11-point lead over San Manuel Yamaha’s Josh Hill, of Yoncalla, Ore., into Qualcomm Stadium. Dungey, who is competing in his rookie year of AMA Supercross class racing, leads the field in wins with two. Hill is the lone rider for the San Manuel Yamaha team after his teammate and defending AMA Supercross class champion James Stewart underwent surgery to repair a broken scaphoid in his right wrist last week. Hill has back-to-back second place finishes and is eager to pick up his first win of 2010. Last weekend in San Francisco, Dungey, who has led 54 of 80 laps this season, threw away a 9-second lead after a rut caught his toe, ripped it off the foot peg and sent him flying to the ground. He did salvage the race by earning fourth place, which was good enough to keep him in the points lead. "I came out and got a great holeshot in the main, and then I caught my foot and threw it away,” said Dungey.” I salvaged it for fourth, which is not too bad. I’m thankful that I’m alright and healthy. I’m going to work on just bits and pieces this week in practice. Just try to come back and be ready for San Diego." Fortunately, the scary moment for Dungey and his team manager Roger DeCoster turned out much better than it looked. "What happened was he caught the rut with the tip of his foot and it pulled him under,” said DeCoster. “His foot went under the foot peg and he grabbed a handful (of throttle) because it was pulling him off the bike. We didn’t have any issues with the bike, so we’ll go home and try to figure out why he caught his foot and we’ll work on that and make sure he’s healthy for San Diego. This week we will probably have more to do with a chiropractor than a mechanic." Monster Energy Kawasaki’s Ryan Villopoto earned the first win of the 2010 season and is now focused on closing the gap to the current championship leader. Villopoto, who now has three AMA Supercross class wins in his career, is third overall in point standings with 77. 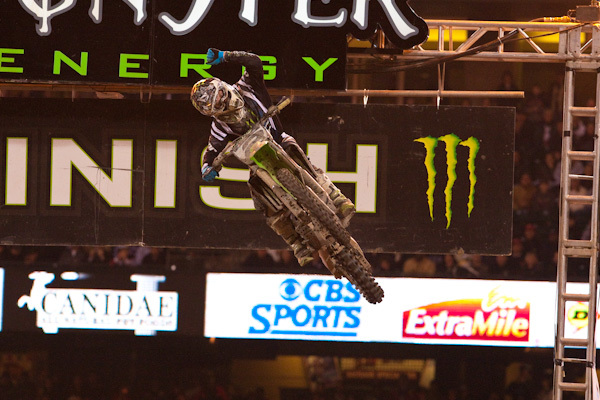 Joining Villopoto under the Monster Energy Kawasaki tent is Nick Wey. The Michigan native made his debut with the team last week at San Francisco and scored a top-10 finish. Honda Red Bull Racing’s Davi Millsaps recorded his best result of the 2010 AMA Supercross class season on his CRF450R, finishing third in the action-packed 450 race—his first podium finish in 2010. “Personally, I really needed that podium finish last weekend,” said Millsaps. “In San Francisco I rode well in the heat race though I felt I needed to make a few set-up changes for the main, which we did, and it worked out well. I got a good start and rode pretty well to get third. In the AMA Supercross Lites class, Monster Energy Kawasaki’s Jake Weimer leads the championship standings as the tour passes its halfway point. Weimer has won three of the four races and is looking to return to the top step of the podium after finishing runner-up last weekend. Weimer’s Monster Energy/Pro Circuit/Kawasaki teammate Josh Hansen has looked good the last two races, but his results don’t show how well he has been riding. GEICO Powersports Honda’s Trey Canard dominated the entire AMA Supercross Lites class main event in San Francisco aboard his CRF250R, taking his first race win of the 2010 season. Canard cranked off a hot start and took control of the race within the first few turns and never relinquished control—maintaining his lead position for the entire 15 laps. 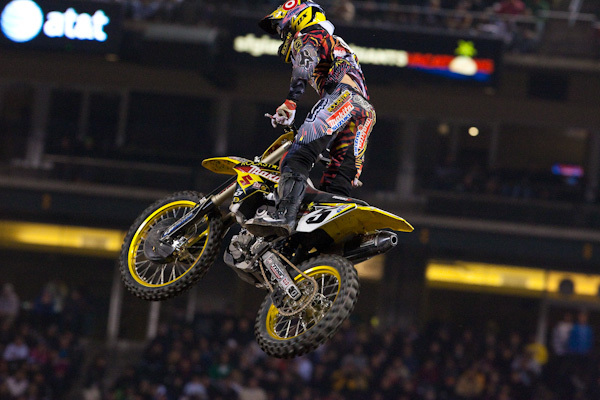 “Getting the win in San Francisco means the world to me,” said Canard. “I know there are guys who’ve had it worse, but for me, it was very hard being injured most of last season—not being able to ride. But to be able to come back and win on Honda’s new CRF250R—for the team and for Honda—is awesome. I absolutely love the new bike and knew it could win. The fuel injection, chassis— everything about it makes it a great package. I know this win means so much to a lot of people. Fellow Honda racer Cole Seely is having a career-best AMA Supercross Lites season aboard his Troy Lee Designs/Lucas Oil/Honda’s CRF250R. 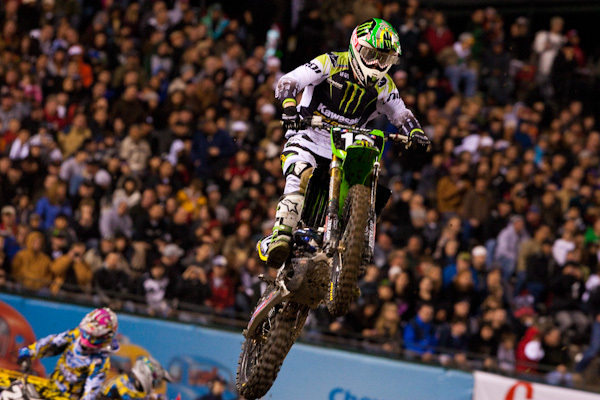 He grabbed the holeshot in San Francisco and equaled his best showing of the season, finishing fifth. SPEED will air the AMA Supercross Lites class race on Sunday, February 7 at Noon EST while coverage of the AMA Supercross class follows at 1:00 p.m. EST. Tickets for the event are available at all Ticketmaster outlets, online at www.ticketmaster.com, charge by phone at 800-745-3000 or at the Qualcomm Stadium Box Office located at Gate F. The Qualcomm Stadium box office is open Monday-Friday from 10am – 6pm. For fans looking to purchase adult mid-level seats at a discount, log onto www.ticketmaster.com and enter the code SAND20 and pay just $10 for mid-level adult seats! That’s a savings of $20! Valid now thru Friday, February 5th. Discount valid online only with code. A season-long subscription to the official webcast of Monster Energy Supercross, Supercross LIVE®, is available for $39.99: http://www.supercrossonline.com/supercrosslive. Supercross LIVE® is the only weekly live Monster Energy Supercross race call, and features long time voices of supercross, Jason Weigandt and Jim Holley. For more information on the Monster Energy AMA Supercross, an FIM World Championship, please log on to www.SupercrossOnline.com. For all media requests, please contact Denny Hartwig dhartwig@feldinc.com or 630-566-6305. Feld Motor Sports, Inc. is the world leader in specialized arena and stadium-based motor sports entertainment. Feld Motor Sports, Inc. productions include Monster Jam®, SuperBull?, Monster Energy Supercross, AMA Arenacross Series, Nuclear Cowboyz?, Gravity Slashers?, and IHRA® Nitro Jam®. Feld Motor Sports, Inc. is a division of Feld Entertainment, the world’s largest producer of live family entertainment. For more information on Feld Entertainment, visit www.feldentertainment.com.